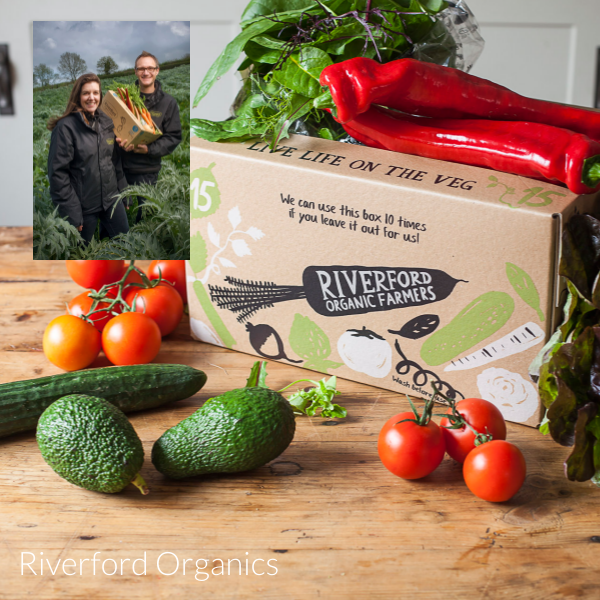 Riverford was founded by farmer Guy Watson in Devon in 1987, where he starting delivering organic vegetables to 30 local homes via what was one of the first veg box schemes. Word spread, and with it came the challenge of how to meet demand without compromising a commitment to local growing and employment, supporting local farmers and keeping a close link between grower and consumer. The solution was to team up with sister farms who share the same ethos, growing and delivering to their local areas. There are now four Riverford sister farms in the UK: the original Wash Farm in Devon, growing and delivering to homes in the South West and South East; Sacrewell Farm in Cambridgeshire covering East Anglia and the Midlands; Home Farm in North Yorkshire covering the North and Upper Norton Farm in Hampshire covering central Southern England. Together, the four sister farms deliver to around 47,000 homes in the UK each week. Riverford also has a farm in France where they grow crops to plus the ‘hungry gap’ around May and June, when the UK winter crops have reached the end and the summer crops are not yet ready. The company has won many awards including Ethical Product of the Decade at the Observer Ethical Awards 2015, Best Retailer at the same awards on five previous occasions, Best Independent Retailer in the RSPCA Good Business Awards and numerous Compassion in World Farming Awards. Guy Watson has a regular column in The Telegraph, and has been named BBC Farmer of the Year twice. In addition, its restaurant the Riverford Field Kitchen won Best Ethical Restaurant in 2009 and 2010 in the Observer Food Monthly Awards. Riverford’s first book, the Riverford Farm Cook Book, won Best First Book and Best Work on British Food at the Guild of Food Writers Awards in 2009. In 2014, Riverford teamed up with the UK’s only Soil Association certified organic pub, The Duke of Cambridge, to launch London’s first farm-owned pub. In 2015 they released their series of Riverford Companion books with Spring & Summer Veg and Autumn & Winter Veg.